This U.S. Ceramic Tile Color Collection 4 in. x 6 in. 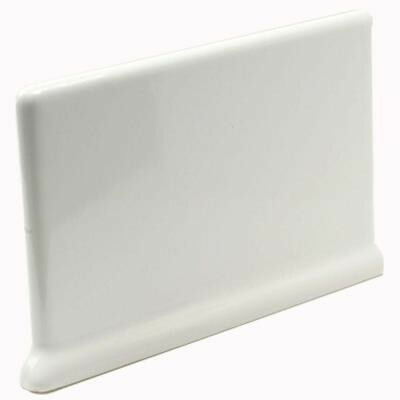 Bright Snow White Ceramic Cove Base Left/Right Corner Wall Tile is a stackable trim piece suitable for interior walls including such applications as kitchen backsplashes and showers. The tile has a glazed surface with a glossy sheen for a bright, clean appearance. Coordinate with matching grout and decorative trim to accent your installation. This tile is certified by the American National Standards Institute (ANSI). You can buy this product in our internet market. We will be glad if you make the right choice. Don’t forget your coordinating trim pieces, grout, backerboard, thinset and installation tools.